JessN: CLEMSON PREVIEW: Is this Tiger team more Clemson ’16 or Clemson ’17? Thread: CLEMSON PREVIEW: Is this Tiger team more Clemson ’16 or Clemson ’17? CLEMSON PREVIEW: Is this Tiger team more Clemson ’16 or Clemson ’17? 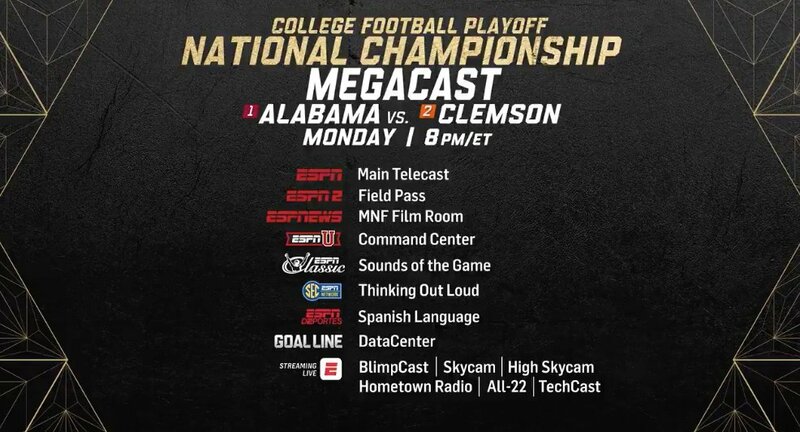 If you're into comparative analysis, the big question heading into the College Football Playoff championship round is whether this Clemson team more resembles the Clemson of 2016, which defeated Alabama on the final drive to win the title that year, or the Clemson of 2017, which bore more of a resemblance to its in-state rival South Carolina than the Tiger team that had defeated Alabama 12 months prior. Last edited by BamaNation; January 7th, 2019 at 07:58 AM. Re: Clemson preview: Is this Tiger team more Clemson ’16 or Clemson ’17? Jess, this is the way I see it. But I think the loss of Miller and the most inconsistent inside linebacker play of the Saban era makes this a scary call. In the end, we’ll see how Clemson reacts to getting punched in the mouth. Last year, they did not appear to appreciate the taste of their own blood. Last edited by CrimsonEyeshade; January 4th, 2019 at 04:52 AM. Block or be blocked seems to be the key for both teams. Lawrence’s and Dexter Brown’s absences cancel each other out but if Christian can’t go, we are entering unchartered waters and may just have to outscore them. Thanks Jess for the really good work you do. Last edited by Tidetwin; January 4th, 2019 at 05:45 AM. Championship Preview, we’ve all been waiting all season to read this one. Great write up. Agree with everything but RB. Josh Jacobs is the best in the country and it’s about time he was recognized for it. For that reason alone we should have that advantage. Last edited by B1GTide; January 4th, 2019 at 08:10 AM. Well, it does make me feel better to read Jess' call on the game, but it simply does come down to who makes fewer stupid mistakes, and we showed a propensity for such things last week. Hopefully we had our 'B' or even 'C+' game last week, and our 'A' game is ahead of us. If not it will be a shame to see a team of such greatness not meet their full potential. The way the grouping we’re going I was sure you were going to pick Clemson. I believe it will be close for a good bit of the game with Bama pulling things out that they haven’t done before and they tire out the Clemson defense. Great Championship preview, Jess! Also the way I see it, and our score predictions are almost identical - mine in the score prediction thread was 31-24. As I said in that thread, I can easily see it even closer and MORE “mired in the trenches” at something like 24-20, as the key to this game for both teams will be all about pass protection. I think we hold a slim edge here, as I don’t think they will have an answer for QW. At the same time, Tua needs to be fully healthy, getting the ball out quick and on his game, because Clemson will bring the pressure and have some success. When he’s healthy, Tua’s mobility far exceeds TL’s. I just sit here confused on how Terrell Lewis appeared to be returning a month ago and now...? I guess I just got my hopes up for nothing. Me too--it's the weirdest thing, unless Saban is playing mind games. Either that or Terrell hurt himself again and nobody is saying anything about it. Seems linebacker injuries just won't stop. Last edited by RTR91; January 4th, 2019 at 08:59 AM. Thanks, Jess. Good analysis. This will be one of those games that will be nerve-racking until the clock hits 0:00. I expect a stressful game and lots of Tums for me.